Al Sharpton: Confederate flag must be down everywhere. Howard Dean: We have a right to protection of our liberties. John Edwards: Enormous strides for gays and lesbians without gay marriage. John Kerry: Support �mend it, don�t end it� for affirmative action. John Edwards: We can stop the job losses, by closing loopholes. John Kerry: Close the loopholes that reward corps taking jobs overseas. Dennis Kucinich: Americans� social consciousness overrides cheap goods. Howard Dean: We ought to change NAFTA-globalization only halfway done. Joseph Lieberman: NAFTA has caused some job loss, but net gain of 900,000 jobs. Al Sharpton: Wealthy Americans should pay more for Medicare. Al Sharpton: Other plans are step in the right direction of single-payer. Dennis Kucinich: Not-for-profit system differs from Hillary�s pro-HMO system. Howard Dean: Improved economy is best fix for Medicare. John Edwards: A new system to prevent malpractice insurance hikes. John Kerry: Research, prevention, and wellness can reduce Medicare costs. Joseph Lieberman: Centrist leadership can get more covered by health insurance. Wesley Clark: Stop giving a handout to the HMOs. Wesley Clark: Take the existing system and make it better. Al Sharpton: Blame the terrorists, not the Islamic religion. Dennis Kucinich: Bush doctrine of preemption and unilateralism is wrong. John Edwards: Independent commission needed to look at intelligence flaws. John Kerry: Exaggeration by the Bush administration should be questioned. John Kerry: Bush administration is misleading America in a profound way. Joseph Lieberman: The president has the right to act alone. Wesley Clark: Threat of terrorism has been recognized since 1996. Wesley Clark: Preserve the separation of church and state. 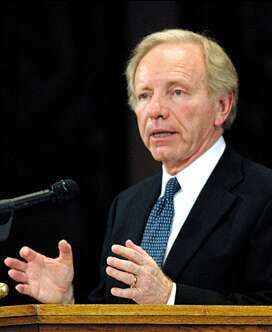 Joseph Lieberman: Saddam�s overthrow caused Libya & Iran to capitulate. The above quotations are from Democratic 2004 primary Debate in Greenville South Carolina, Jan. 29, 2004.